In a warming world, key ocean-atmosphere processes, like the El Niño / Southern Oscillation, are expected to change. An important question is whether the frequency or nature of climate oscillations like El Niño will change in the future. During El Niño, trade winds that normally blow warm surface waters from east to west across the equatorial Pacific Ocean weaken. The extra-warm surface waters that normally pile up in the west, called the Warm Pool, slosh back towards the east, shutting off upwelling off South America and reducing fishery productivity there. Rainfall patterns also change, moving to the east over the central Pacific and causing droughts in the west. El Niño also has global knock-on effects, like higher rainfall in California and drought in Australia. In 2010, Simon Donner and I went to the Gilbert Islands, in the Republic of Kiribati, to collect core samples from large coral heads with the intent to learn how climate and the local coral reefs had changed over the past century. 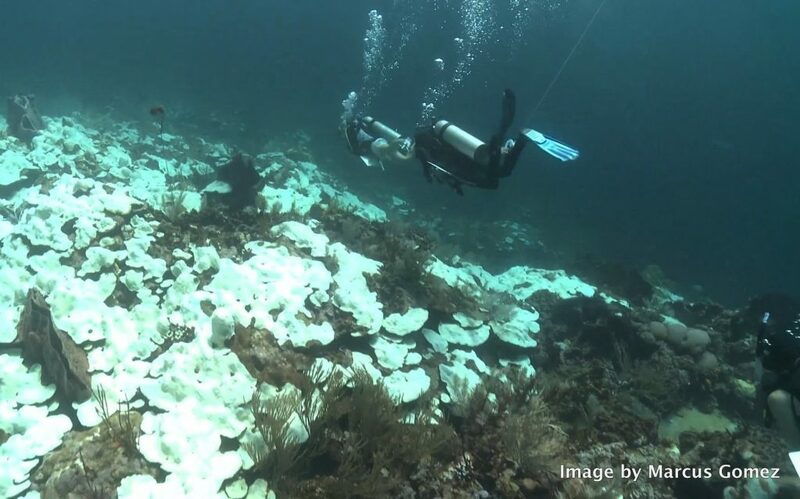 Corals build their calcium carbonate skeletons from seawater, and in the process record changes in their environment – like water temperature and salinity – within the chemistry of their skeletons. Coral skeletons also have rings like trees, so assigning dates to the resulting skeletal environmental records is straightforward. 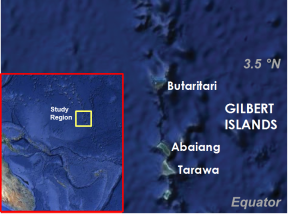 The Gilbert Islands sit near the eastern edge of the Warm Pool, and are particularly sensitive to a recently discovered variant of El Niño, called El Niño Modoki or central Pacific El Niño. These events seem to be increasing in frequency, which makes this region particularly interesting. 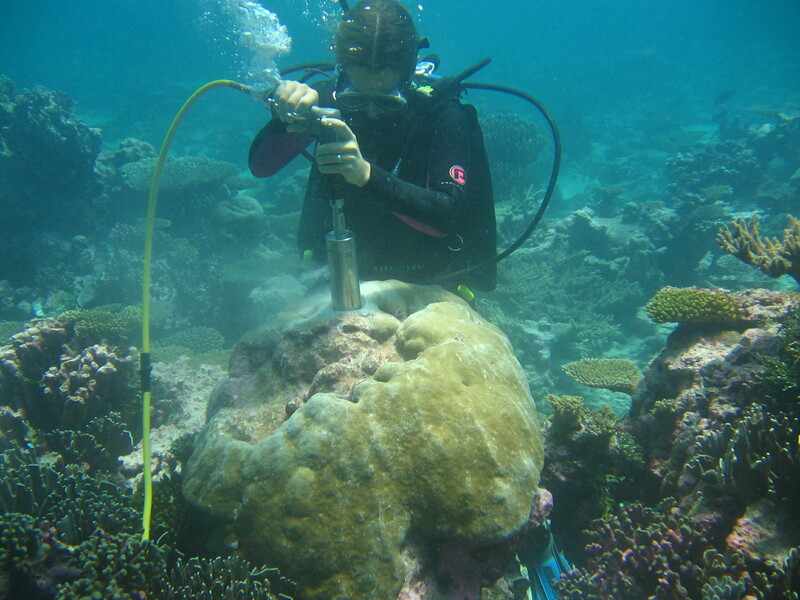 Along with a team of researchers in Australia, we reconstructed water temperature and salinity at Butaritari, in the northern Gilbert Islands, from 1959-2010 and compared trends to other Pacific coral records. The gradient in water temperature from east to west across the Pacific is intrinsically linked to an atmospheric circulation cell called the Walker Circulation, comprised of the trade winds at the surface, rising warm air and rainfall in the west, and sinking, cool dry air in the east. 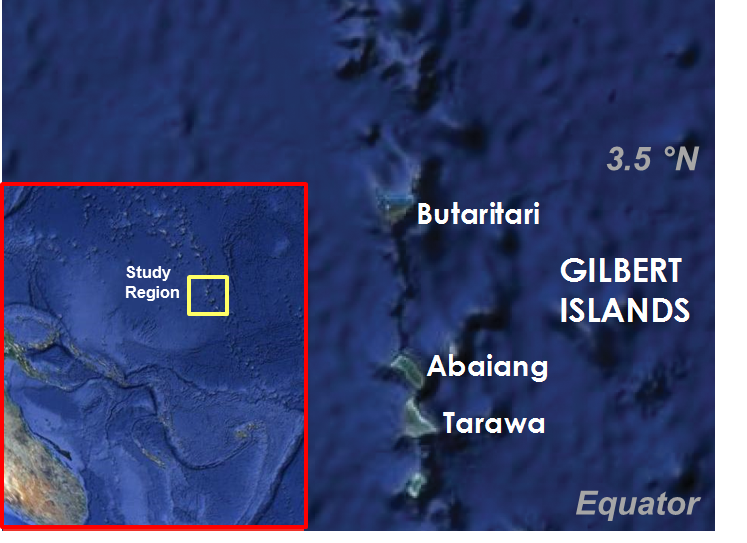 The records from Butaritari indicate that waters there have not warmed as much as water farther east along the equator. This means the west-east water temperature gradient has weakened over the past half century, and that the Walker Circulation – which breaks down during El Niño events – is weakening. A weaker Walker Circulation in turn means that El Niño events will be more likely to occur. We could therefore be in for a future of increased El Niño events, which has consequences for fisheries, farming, and freshwater availability – not to mention increased likelihood of natural disasters like flooding and wildfire in some parts of the world. The original publication can be accessed here or contact Jessica for a PDF.